Anyone with a child in elementary school knows that keeping track of schoolbooks is almost as hard as keeping track of kids. Books sent home for reading assignments have a way of disappearing under the bed or between the couch cushions and reappearing a year later, at which point Mom has to figure out where they belong. That’s where our fun book stickers come in handy as great teacher gift ideas. Book stickers are personalized stickers you place inside the front cover of a book to identify whose it is. 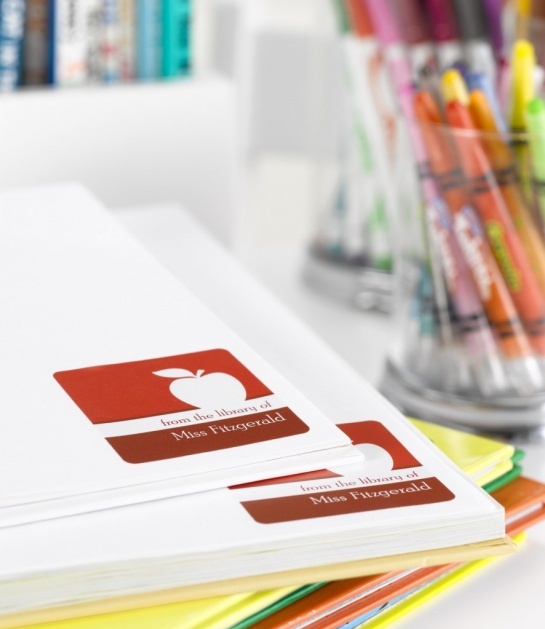 Teachers love book stickers because they are a quick and friendly way to ensure that their books make it back to the right classroom no matter where they are found. Moms who are looking for unique teacher gift ideas, whether at the beginning of the school year, around the holidays, or at the end of the year, can’t go wrong with a set of book stickers personalized for their child’s teacher.